When I checked out ITG yesterday, I noticed that the "Top Shelf" profile recipient was wearing the very same t-shirt that I was. The similarity, alas, ended there. Did that stop me from briefly wondering if perhaps I should style my t-shirt with, if not ripped black jeans (I don't have any ripped pants - as far as I know - and have no plans to rip any), then maybe my regular black jeans, before the part of my brain that remembers models are people paid to make outfits look good kicked back in. There's a rational part of me that understands full well that the difference between me and model-turned-actress Jaime King is not, in fact, that I'd paired my white pocket tee with intact navy corduroys. But there was still that glimmer of a moment when I honestly considered basing my styling choices off hers (or those of whoever styled her for this). I guess the hope with these Top Shelf profiles, if they are in fact selling something (if I understood the exact mechanism, I'd be a more marketably-skilled individual than I am), is that you see that King's "approach to skincare is to always wash your face before bed, even if you don’t want to," and figure (with the non-skeptical part of your brain) that the difference between your face and King's is that she's better about nighttime face-washing. The idea is to be so swept up in the narrative that when you get to the part where she endorses a $300 "‘Skin Caviar’ Luxe Sleep Mask," or a $70 concealer, you'll think, aha, that's why she looks like so, and if you follow suit, some of that perfection will transfer to you. But it's not even about wanting to look like a different person. It's not even coming from a place of low self-esteem, exactly - it's more that you mistake 'that woman looks nice' with 'that purchasable thing looks good on that woman.' The more unattractive the thing being sold, perhaps the more beautiful the woman needed to sell the thing. 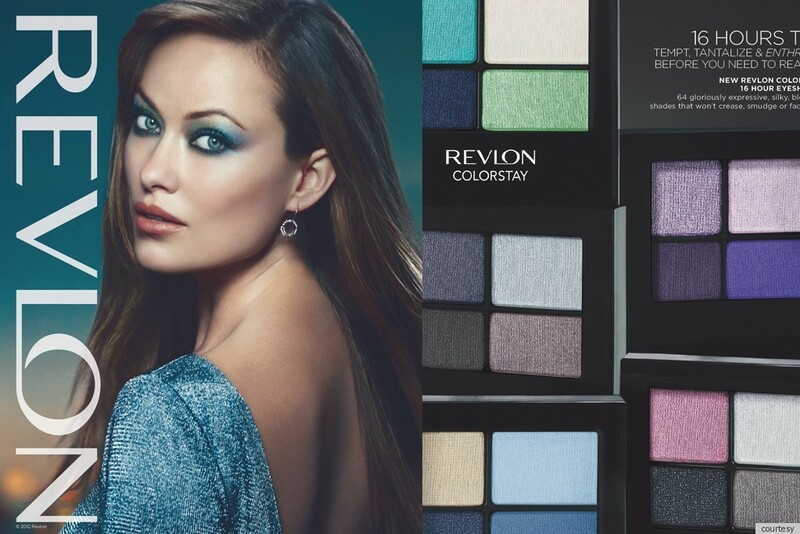 Thus all those ads with Olivia Wilde in brightly-colored eye makeup that even she can't quite pull off.